Former England captain Lawrence Dallaglio ended his 15 year rugby career on a high at Twickenham on Saturday with a 26-16 victory over the Leicester Tigers. Dallaglio lifted the Guinness Premiership trophy for Wasps after a classic final that was watched by over 80 000 in the stadium, and millions around the world. Dallaglio, 35, was given a standing ovation when he was replaced in the 68th minute, but was keen to share the spotlight with his team-mates. "This was not about me, it was a wonderful squad effort," he said. "We were 10th in the table around Christmas time, so this is probably our greatest achievement." "We have had some great days in the last few years but given where we were after the World Cup this is probably our greatest achievement. "We played a mighty opponent today in Leicester and we always knew it was going to be tough. They came back at us but we held on and performed heroically." Humble words from the departing Dallaglio, who will now have time to sit back and reflect on an amazing career that saw him become the second-most capped Englishman of all time. 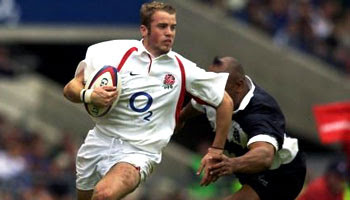 He won 85 international caps for his country, is one of only two players to have won both the World Cup and the Sevens World Cup, he's claimed a Grand Slam with England, and also went on three Lions tours. With his beloved Wasps he has won two Heineken Cups and now five English titles. A fitting tribute to a legend of England, Wasps, and world rugby. 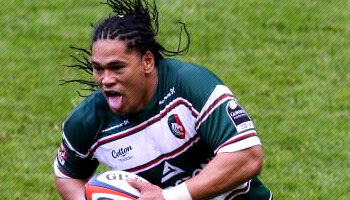 Big Samoan and Leicester Tigers wing Alesana Tuilagi today showed us another fine example of just how lethal he can be in full stride, when he absolutely flattened little Wasps scrum half Eoin Reddan in the Guinness Premiership final at Twickenham. Last season Tuilagi was a bit more prolific, and has struggled to fire to an extent this time round, bar a superb try in the Semi Finals of the same competition. Fair enough, this match up between big Alex and Reddan is somewhat of a mismatch, considering the size of each player, but it's still a spectacular site to see the big flyer steam rolling guys out the way while barely breaking stride. Leicester and Tuilagi just didn't have what they needed today though, and we saw Wasps go on to lift the trophy and bid a fitting farewell to their retiring captain Lawrence Dallaglio. Tribute video to follow shortly. The Canterbury Crusaders continued their dominance of southern hemisphere provincial rugby by securing their seventh Super title with a come from behind 20-12 win over the New South Wales Waratahs in Christchurch. The Crusaders were down 3-12 late in the first half, but scored 17 unanswered points, largely thanks to the boot of All Blacks fly-half Dan Carter, who kicked four penalties and a drop goal for a personal tally of 15 points. The Waratahs put in a brave performance but faltered on the big stage, allowing the experienced Crusaders to dominate in front of their home crowd, sending coach Robbie Deans, winger Caleb Ralph, and former captain Reuben Thorne out on a winning note. This is just a quick montage from the game. In terms of short clips worth showing again, not too many to speak of. Lachlan Turner did score two great tries though so we may stick them up soon. It will be a world record club attendance when London Wasps face off against Leicester Tigers in the Guinness Premiership Final at Twickenham. It has been a long, gruelling road for both teams but they'll have no doubt recovered from their respective semi-final clashes a fortnight ago and will be prepared for one final showdown. The battle-hardened World Cup winner, Lawrence Dallagio will play his 399th game for London Wasps, leading a typically robust forward pack including James Haskell and Phil Vickery. There was some shuffling in the back line to be done for Wasps as Riki Flutey shifts to stand-off (following the Danny Cipiani injury) and Josh Lewsey steps up to the wing while Mark van Gisbergen gets a start at fullback. It's an all-international set of backs for Leicester who will look to Andy Goode and All Black Aaron Mauger to be the generals. Englishmen Harry Ellis, Dan Hipkiss, and Tom Varndell, Samoan Alesana Tuilagi and Irishman Geordan Murphy, complete the Tigers back line. It's the same back line (and forward pack) that took Leicester Tigers into the final, but will it be enough to shut down Dallagio and his Wasps? No doubt, it will be a war of attrition and perhaps even another last minute drop goal is on the cards? Whatever the fate of the Premiership Trophy is, it is sure to be a matter of inches separating the two sides. This short clip is a bit of a build up for the game, and features a few of the better moments from this season that helped both sides get to this point. We've reached the eve of the final. It's all come down to two teams, 30 players in 80 minutes of high-octane, high-intensity rugby. Nothing will be left in the tank by the end of this cross-Tasman clash between the New South Wales Waratahs from Australia and the Canterbury Crusaders from New Zealand. There's been highs and lows for both sides throughout the 14 week competition, but they managed to finish on a high last weekend in the Semis. The Waratahs toppled a Sharks side that didn’t turn up, and the Crusaders were back to their best, finishing off a strong Hurricanes side in the second half. Will the wear and tear of last weekend still be present for the two finalists? 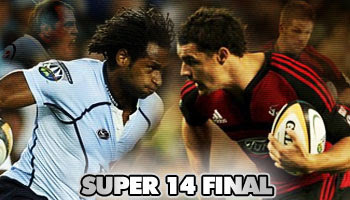 Will it be a blow out or are the Waratahs here to shut down the most successful side this tournament has ever seen? With emotions flowing, both sides will be wanting to send off their departing coaches on a high. Expect this one to be physical and intense till the end. Our short preview looks at some of the action from the two semi-final games and touches on what obstacles both teams had to overcome to deserve their place in the final. Enjoy, and be sure to let us know who you think will be lifting the coveted trophy when all is said and done. Justin Marshall is a man who's had quite a varied career. He was a Crusaders legend before moving over to the UK and spending time with Leeds in England, and currently, the Ospreys in Wales. He's captained the All Blacks and achieved 81 Test Caps for them. He's been around the block and had his fair share of high and lowlights. He's also always been a character of the game, and will always been well respected both on and off the pitch. 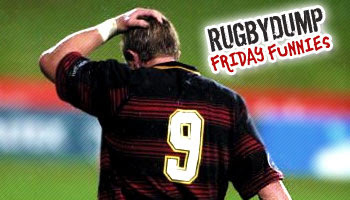 One of his funniest moments came back in the year 2000, when the Brumbies faced the Crusaders at Jade Stadium in Christchurch. The Brumbies were in the lead, and looking to take the win with time running out, so the All Black scrum half was obviously a little frustrated. Referee Andre Watson blows the whistle, to which Marshall clearly says something, prompting Watson to call him over. At this point Marshall presumes he's getting his marching orders, so turns around and starts walking off in a huff, making it halfway to the tunnel before realising it was only going to be a talking to and a warning. A funny moment that I'm sure won't be in Marshall's personal archive of career highlights. On Tuesday night when the Barbarians faced Ireland at Kingsholm, we saw Ireland's flanker Neil Best and Baa Baa's front rower Cobus Visagie get themselves into a real tangle, resulting in Visagie coming off second best, looking battered and bruised and having to leave the field. It's hard to see why the scuffle broke out. By the looks of it, Visagie was overzealous in his clearing out at the ruck, which turned into a wrestle, and attempted elbow/punch, then Best's dealing with powerful scrummagers face. Visagie had to go off for treatment, and Best was probably lucky to stay on the field after his short jab connected so obviously. It wasn't the end of it though. Fast forward 4 minutes, and we see retiring Queensland Red's stalwart David Croft get his own back. Best found himself at the bottom of a ruck, a little push and shove happened somewhere, and next thing you know, Croft unleashed a few well placed shots that mostly, judging by Best’s bleeding nose, were actually missed by the cameras. We may have seen three yellow cards on another occasion, but somehow all these incidents were overlooked. Croft taking the law into his own hands was wrong, but it just goes to show that even if the ref does miss it, there’s someone out there who’ll make sure you get your due punishment. Bath ended a ten year trophy drought as they lifted the European Challenge Cup at the third attempt at a soggy Kingsholm on Sunday. It was a fitting farewell for the departing Steve Borthwick and Olly Barkley. England captain Borthwick ended a decade of service to the club by guiding them to their first bit of silverware since 1998 and eradicating the misery of two losing tournament finals. “Any season is judged by what happens at the end of it and to lift this trophy is just fantastic,” said Borthwick. Barkley, who joins Gloucester next season, kept Bath ahead by landing a drop-goal, two penalties and a conversion. "Today wasn't about rugby; it was about leaving a group of people I'll miss dearly – people I love," said the England centre, who will spend rather more time at Kingsholm next season on account of his decision to join Gloucester. Quite why he is leaving is anyone's guess, but one thing at Bath is for certain, he will be missed. 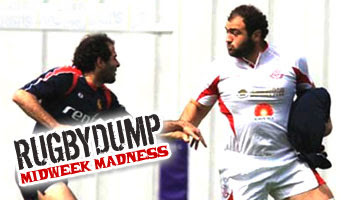 We’ve featured a fair bit of Sevens action here on Rugbydump recently. The entertainment factor of that form of the game is huge and often produces classic matches, and classic moments alike. One of those classic moments from the past would be from the inaugural Wellington tournament back in 2000. The Fijian Sevens team were up against it in the final, as they were facing a pumped up New Zealand side who were wanting to impress the strong home crowd contingent. 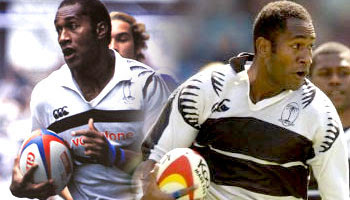 The New Zealand team were star studded with players like Jonah Lomu, Christian Cullen and Mils Muliaina, but they struggled to match the pace of the flying Fijians. Tries were exchanged by Vunibaka and Muliaina, but it was at the 15 minute mark that we saw a one of the highlights of the match. Big Jonah Lomu was substituted after amazingly having very little impact on the game. 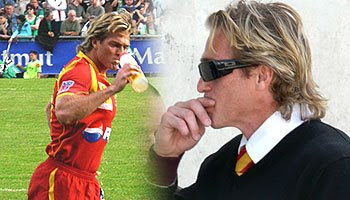 On came local sensation Christian Cullen who was known to have the ability to turn a game in an instant. Cullen lasted less than a minute though, after a big tackle on him from Vili Satala not only created the turnover, but had Cullen retreating to the bench just as quickly as he had arrived. The turnover from the hit ended up in wizard Waisele Serevi getting the ball behind his try line, which didn't phase him as he dazzled one defender then tossed it out to Vilimoni Delasau on the right wing. Delasau then made the game look easy, running around a bunch of Kiwis, then stepping the cover who had little effect in stopping him on his way to scoring a classic and very memorable Fijian Sevens try. We love finding older clips of Sevens, and classic tries in general, so if you come across something you think would be good to share with the rugby world, please don't hesitate to send it to us by posting a request in the forum. Ireland and the Barbarians met last night at Kingsholm for a friendly match that served mainly as a warm up for Ireland ahead of their tour down to Australasia next month. It wasn't the greatest performance seen by Ireland or the traditional Barbarians, but served up a few nice tries, most notably by Tommy Bowe and Shane Horgan. The Baa Baa's looked predictably out of sorts and disjointed, and as the commentator quipped, perhaps had a bit too much of a Belgian beer hangover after their match there on the weekend. Ireland scored 24 points in the first 23 minutes, and that was about the most exciting part of the game bar one or two moments of brilliance from a young backline that at times showed glimpses of real quality. 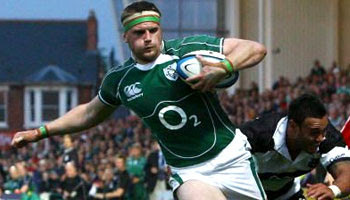 Ireland came out easily on top in the end, despite some spirited play by the Barbarians. The final score in this one, 39-14 to the Irish. Last night the Barbarians and Ireland met in an international friendly at Kingsholm, Gloucester. The game featured some familiar faces from around the world, none more so than Baa Baa's flyhalf for the evening, Wallaby legend, Stephen Larkham. Larkham has been out of rugby since his unfortunate injury in the World Cup and was meant to be heading to Edinburgh to start a new career there. That fell through though, and this season Larkham has been seen sitting on the sidelines as an anxious spectator at Brumbies home games. The latest word is that he's going over to Japan to finish his career with a nice pay packet there. He's taken some time out though to play for the Barbarians, possibly as his last big showing on the international stage. So what better way to welcome him back to rugby than with a big hit from a young man who was probably a teenager when Larkham was playing test rugby. Luke Fitzgerald put in this great hit, reminding Larkham that there's no such thing as an easy retirement from top flight rugby. Note: Full highlights from this game are on the way, so check back soon. Scrum half - one of the most vital positions on the field. As a scrum half, you're the link man between backs and forwards. You're the one calling the shots when it comes to distributing, whether it's the pop pass to a fattie, a clearing kick, or a perfectly timed pass to your fly half. There's a lot of pressure that comes with being the smallest and often most important guy on the field. So, to cope with being a few inches smaller and sometimes getting lost in the grass, scrum half's quickly develop short man syndrome. That is, they become aggressive, noisy, chirpy, and at times, punch above their weights. They have to, it's the only way to survive really. Our young friend Rory Kockott from the Sharks is a prime example of this. Extremely talented, he's gifted with speed, strength, kicking ability and has had such a good season that he's in fact kept regular starting number nine Ruan Pienaar out the team on a few occasions. One thing about Rory though - he is as feisty as they come. He won't stand down to anyone, and no better example of that is this clip from the game against the 'Tahs on the weekend. Kockott decided to deliberately toss the ball into big lock Dean Mumm's face, which was followed by a little push and shove. Now, in every day life, imagine walking up to a guy that much bigger than you and tossing something into his face. It just wouldn't happen. But this is rugby, and as Kockott knows, there's guys like The Beast just around the corner waiting to bail him out of anything he can't handle. All Black and Crusaders player Ali Williams, who is often seen as a villain on and off the field, is being hailed as a hero after breaking up a fight in Christchurch on the weekend. Williams and a couple of team mates were out on the town after the Hurricanes game when trouble broke out. "There was this group of 20 to 25 year olds all arguing... Then all of a sudden a brawl just started between about six people and then Ali Williams rushed up and saved the day," says eye witness Max Rooney. The big lock, no stranger to off-field misbehaviour himself, is shown getting in amongst a group of five or six brawling young men, and stopping the fight. All the action was captured on camera phone and released on ONE News evening edition. In one of the highlights of the weekend for the neutral, day one of the London Sevens produced an amazing upset that will bring pride and encouragement to smaller rugby nations the world over. Portugal booked themselves a place in the quarter finals for the first time after impressive victories over Australia and Canada. The men in red surprised Australia early on day one by scoring three unanswered tries after the game looked close at 7-5. They showed great confidence and ran the ball with style and excellent handling, ultimately making the Aussies look a little bit shell shocked. The 28-12 victory over Australia gave the Portuguese outfit the boost they needed, and despite losing to Fiji, they beat Canada and found themselves in with the world's top rugby nations in the last eight. Diogo Mateus, the Portugal captain was ecstatic at the way his team performed. "We came here with no expectations, we just wanted to start with a good game and start evolving from that because we have the World Cup qualifying coming up and we want to get there as best as we can. We brought a very young team, already full of experience but still young, and we just played for the fun, for the team." As for Australia, they bounced back well and went on to win the Bowl Final against Wales. We'll keep bringing you highlights of the Sevens as we get them, so please be patient and if you have a specific request, please post it here and we'll see what we can do. With many of us still getting over Jerry Collins' surprise retirement announcement, we thought it was appropriate to bring you a short clip of his final moment in New Zealand rugby. As the Crusaders marched on to glory and a Super 14 final meeting with the Waratahs, the Hurricanes scored a consolation try at the end of the Semi Final. Up stepped big Jerry to take the conversion, already aware that it was to be his final farewell to the 'Canes and the New Zealand rugby audience. He slotted the kick like a pro, choosing to go with the good old fashioned classic kicking style that was so popular for many years in the past. Jerry will be seen in the famous Barbarians colours tonight against Ireland, and while over there in the UK, I have no doubt he'll be taking part in contract negotiations with the many clubs who would definitely love to have a player of his stature in their team. This weekend saw Samoa beat Fiji 19-14 in a bruising final at Twickenham to win the London Sevens title, their third ever World Series Cup title. Lolo Lui scored a quick fire hat trick of tries to give Samoa an early 19-0 lead and although Fiji crossed just before the break through Timoci Matanavou, and then in the second half through Sailosi Rabonaqica, it proved too little too late. The great comeback was nearly complete as Nasoni Roko dived over for the late try to equalise, only to be called back by referee David Keane after a late tackle in the build-up was ruled by the touch judge. Heartbreak for Fiji who had done so well to get back into the match, and almost win it. 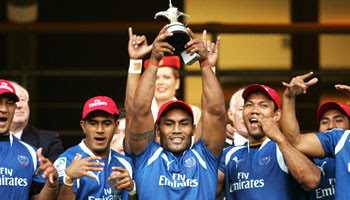 Congrats to Samoa though, who proved once again just how lethal they can be on the day. As for the crucial final decision, marginal, or the correct call? Note: Despite having just posted the final, we'll continue to bring you various other quality moments from the London Sevens, so please bare with us if they get posted in drips and drabs. Former All Blacks captain Jerry Collins has ended his career in New Zealand. The 27-year-old Wellington Hurricanes loose forward said he would take an indefinite break from the game before considering his future. "It's something I've thought about for a while. I've played 10 years for one province and it's hard to leave but it's probably the right time," he said. 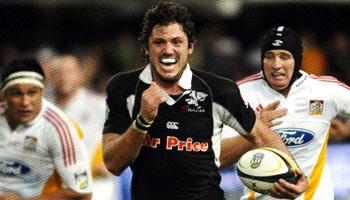 Collins, who will play for the Barbarians against England on Sunday, may consider an overseas contract. But he added: "I'm not in any rush to get out the country." 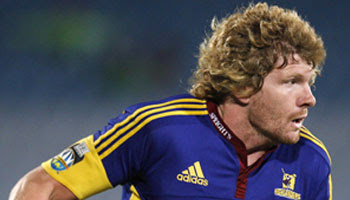 Out of respect to New Zealand Rugby and the Hurricanes, he hasn't been involved in any contractual discussions as yet. "You can't negotiate while you're still contracted so at the moment the cupboard is pretty bare but I'm sure there's someone out there who will give me a job for a couple of weeks." Collins is the 11th player to quit the All Blacks following last year's failed World Cup campaign in France. Chris Jack, Carl Hayman, Anton Oliver, Byron Kelleher, Aaron Mauger, Luke McAlister and Doug Howlett are all now plying their trade in Europe. Nick Evans and Reuben Thorne have signed contracts to play overseas while Keith Robinson retired through injury. Note: Thanks to the BBC, All Blacks.com, and rugger1222. Munster landed their second European title in three seasons to give rugby director Declan Kidney a dream send-off with a 16-13 win over Toulouse. Kidney, who becomes Ireland head coach later this summer, masterminded a memorable Millennium Stadium victory against three-time Heineken Cup winners Toulouse. It was hard graft for Munster during the early exchanges, but they gradually grew into the contest through their forwards' collective effort. They were too streetwise when the pressure really came on, closing down the game in impressive fashion. It finishing with the men from Ireland in territorial control, as they were able to go through phase after phase and wind the clock down, making it virtually impossible for the French champions to peg them back, thus ending Toulouse's hopes by staying in charge and confirming their place as European top dogs. The London leg of the IRB Sevens World Series kicked off today at Twickenham with a game that could have so easily gone wrong for champions New Zealand. Argentina, despite conceding an early try, pushed them all the way and were leading 7-5 until a last minute try from the All Blacks stole the victory and broke the hearts of the men in blue. Despite being close, the game itself wasn't great, so we've picked out this big hit from New Zealand player Edwin Cocker (pronounced Coacker kids). It looks to be a vicious shoulder but the referee doesn't see it that way and allows it. He did wrap his one arm around as much as possible, while off balance, so maybe the intent wasn't there. I'm sure opinions will be varied though, as the commentator for one seemed to think it was 'a shoulder into the face'. Peculiar. Note: We'll do our best to bring you the rest of the top action from this weekends Sevens in London, so keep a lookout for it throughout the next few days. Toulouse and Munster, the two heavyweights of European rugby, go head to head today in a clash of the titans as they meet in Cardiff for the Heineken Cup Final. The brawn of Munster meets the flair of Toulouse as both side's look to add to their already glistening trophy cabinets at a sold-out Millennium Stadium on Saturday. Declan Kidney, in his last game as Munster's head coach, has kept faith with the same starting XV that secured the semi-final win over Saracens. 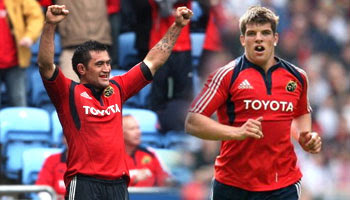 Donncha O'Callaghan gets the nod ahead of Mick O'Driscoll in the second row, and he partners captain Paul O'Connell. Behind the pack the impressive Rua Tipoki continues his partnership with Lifeimi Mafi. Toulouse head coach Guy Novès has selected Jean-Baptiste Elissalde at fly-half, and he partners former All Black Byron Kelleher at half-back. 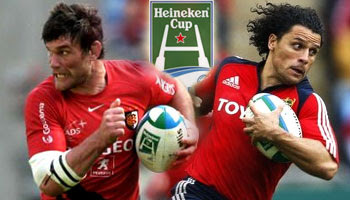 Maxime Medard and Yves Donguy line up on the wings, neither of whom have ever played in a final, let alone a Heineken Cup final. However with Cédric Heymans at full-back they will have plenty of guidance and support in attack. It promises to be a classic that brings us more of the great European rugby action we've seen all season. Predictions anyone? 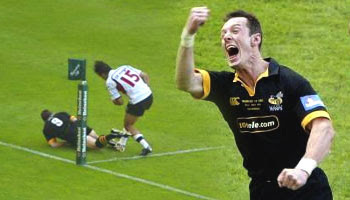 Looking back on previous Heineken Cup Finals, the 2004 meeting between Wasps and Toulouse will forever be remembered for this moment of sheer brilliance by Rob Howley, but perhaps more significantly, the blunder by Clement Pointrenaud that ultimately divided the two best sides in Europe. The game was heading for extra time as it came to a cliff hanging climax with the scores tied at 20 points all. Toulouse had taken a rather poor 22 drop-out and Howley was penned in close to the touchline, with little obvious room for manoeuvre. Shrugging off his chronic wrist problem, he fielded the restart, swiveled and grubbered a teasing kick along the touchline. The kick was aimed more in hope than expectation as it bounced and bounced. Toulouse full-back Clement Poitrenaud waited and waited, clearly hoping it would end up harmlessly in touch. That final half-second of delay will trouble his sleep for many years to come. By the time he reached to get half a hand on the ball Howley was swooping, snatching the ball from out of his grasp to touch down for what looked like a stunning try. The delirium around a packed Twickenham was put on hold for only a minute while the video referee deliberated, before giving the go ahead to award the try. Toulouse were stunned, as well they should have been. Had their full-back not fatally dawdled in dealing with Howley's rolling kick, Toulouse might well have become the first side to win this tournament three times. Instead the ball stayed in play, Howley pounced and the rest is history. 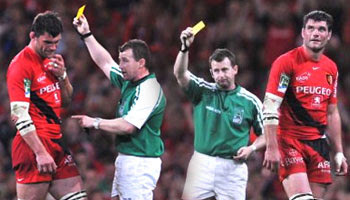 "I wasn't sure whether he'd got a hand to it or whether I'd got downward pressure," admitted Howley. The TMO was in no doubt though. Toulouse will be hoping this type of lack of concentration doesn't come back to haunt them when they take on Munster in Cardiff in this years Heineken Cup Final. I doubt it will, as this was a bizarre moment that will surely give Clement Poitrenaud nightmares till the day he dies. Note: We've updated this to show the slightly longer version. Enjoy. With less than 24 hours to go before their Heineken Cup Final showdown with Toulouse, Munster give some insight to their preparations for the Millennium Stadium. In this short clip we hear coach Declan Kidney giving his feelings about the big game. We also hear from Rua Tipoki, who talks about staying focussed on what they need to do, not the opposition. And a confident sounding Donnacha O'Callaghan seems to relish in the idea of being the underdogs. A rugby referee is the most watched, listened to, and continuously criticised man on the field at any given time. Thirty guys, all much bigger normally, hang onto his every move in anticipation of what game changing decision is coming next. Not only do the men with the whistles have to deal with players moaning, coaches nitpicking, the media tearing them to pieces, and the reality of the job being at risk if they have an off day, but they also have to be extremely fit and get around the ground with the same speed as a top player who needs to be at every ruck. We sometimes under-estimate how fit these ref's actually are, and that they have to go through stringent testing to get to the top level, and if they're not fit enough, they won't make it. But as you can see here in this great little compilation video that was apparently thrown together by someone at the IRB, sometimes getting to the ruck and staying up with the action can be a little bit on the hazardous side. Perhaps it's safer for those old overweight ref's you at times see on school grounds. The ones who are never up with play and therefore stay out the danger zone, staying away from the contact situation up front. Besides the bad collisions, notable funny clips here are Steve Walsh catching the ball in a test match, and Paddy O'Brien blowing the whistle from on the floor. Enjoy, and the next time you play, spare a thought for the little guy out there who's doing his best to blow a good game, while at the same time avoid becoming a prop sandwich. When you hear the name Va'aiga Tuigamala you think of one thing - raw power. The man who was the first of the big wingers, Tuigamala struck fear into his opponents with extraordinary physical presence and dazzling runs. We forget that before Jonah Lomu came along, this other powerful force existed. In his early days he was capable of the impossible on the field, but after a few seasons things changed and he became the bash up guy in the center, which led to him bulking up even more to deal with the demands placed on him. Therefore, tries became more scarce sadly. But in his prime, a modern day comparison would possibly be Alesana Tuilagi at his most potent, putting the head down and charging into opposition, bouncing them off with discontent. Or perhaps because of his height, he's quite similar even to a slim Rupeni Caucau. Whoever you'd like to compare him too, one thing is certain, and that is that back then players of this size, speed and ferocity just didn't exist. Inga, as he was commonly known, had a career that had many different phases and are difficult to capture in these few paragraphs. Nevertheless, on form, as seen here when scoring this try against the Baa Baa's, he was unstoppable and struck fear into the opposition. 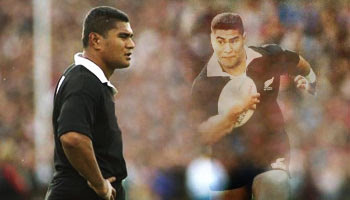 He was signed up by rugby league side Wigan during this tour in 1993, and New Zealand rugby never got to see more of that tremendous potential he had shown since 1989. 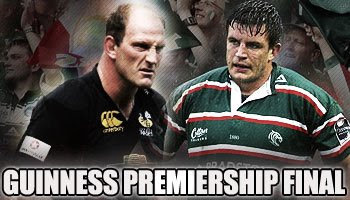 After a highly successful league career, he returned to rugby union in 1996 with Western Samoa, and then later played club rugby for Wasps and Newcastle in England. He is a legend of the game, for his valuable contributions to so many facets of rugby life both on and off the field, and this rare clip is just a small example of the great man in action. Extra: Did you follow Tuigamala's career closely, and perhaps have a favourite memory of him in action? Post it here or in the forum as we'd love to hear it. This little piece of action comes to us from our good friends over in France, and more specifically, down at Toulon. Toulon has been featured on RD before, mainly for it being in the headlines with big name acquisitions such as George Gregan, Andrew Mehrtens, Victor Matfield, and then more recently, talk of Dan Carter going there. The French Second Division, or Pro D2 is known for it's ferocity as we've highlighted in the past, and in this short clip you get a good feeling for it. The massive hit near the beginning comes in from Narbonne's Sebastien Geni on Toulon's center Davyd Douy. Duoy is smashed to the floor, and as you can see, looks to be in bad shape for quite some time. Later in the clip we see Andrew Mehrtens getting into a scuffle after a late hit on him, and then there's even time for a nice try in the end. Plenty of action whenever Toulon play it seems, and we'll more than likely be seeing them in the Top 14 next season, mixing it up with the big boys. The British & Irish Lions tour of South Africa in 1997 was remembered as being one of the best Lions tours to date. A victory over the Boks in their own back yard was achieved for only the second time in the century by the Lions, making it a tour that will always be remembered as a historic occasion for fans around the globe. 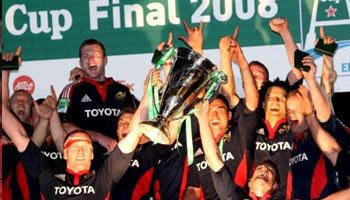 Over the course of the next few months and year leading up to the 2009 tour of South Africa for the British & Irish Lions, we'll be digging up the best moments from the Lions tours thus far and featuring them in the build up to what should be another classic period in the history of world rugby. Certainly, 1997 had some breathtaking moments that will forever be remembered and looked back on as classic bits of play that will be revered for being ingredients towards the tremendous victory. Who could forget Matt Dawson sniping down the wing and dummying about three of the Springbok defenders? Or that classic John Bentley 50m try vs Transvaal at Ellis Park? The biggest moment of course was Jerry Guscott's winning drop kick that sealed the series for the men from the British Isles. This footage that you're about to watch though features one of the poignant occurrences on the tour. It's the devastating moment when superb Welsh scrum half Rob Howley realises his tour is over, the week before the first test, after dislocating his shoulder against late nineties powerhouses Natal in Durban. 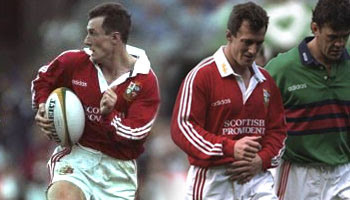 The injury cruelly denied Howley the chance to gain a full Lions cap at the time. The clip starts with a highly rousing speech from coach Ian McGeechan that sends shivers down the spine and gives you an inside view as to one of the reasons why he's so well respected. Through the game we see the reactions of the players up close, and then of course the ill-fated injury to Howley. We also see tough as nails Martin Johnson nonchalantly getting stitched up before returning to the field. Final Score: 42-14 to the Lions. PLEASE NOTE: After the Waratahs War video from 2001, plenty of you mentioned and requested this clip, so here it is, but it comes with a warning for the more squeamish of viewers. The Howley injury isn't pretty, and the Martin Johnson gash to the eye is also very graphic, so watch with caution and if you don't like blood, rather watch Percy having his hair pulled here. With the ever increasing amount of Southern Hemisphere players plying their trade all across Europe, it's always interesting to follow up and see how they've been doing playing for their new club. I was sent this footage recently of Springbok World Cup winner Percy Montgomery having an absolute nightmare for his club Perpignan in the south of France. The game was against Clermont in the Top 14 and as you'll see by this clip, Percy had a few embarrassing moments, namely getting shoved aside by big Napolioni Nalaga, dropping a high ball which resulted in a try, and getting involved amongst the rough stuff with the forwards for whatever reason. Percy looked far from happy, particularly with the hair pulling, but this isn't really a fair reflection of his season I'm sure. And with him more than likely returning home to play for his country soon, I'm willing to bet this was just a random off day and that he'll be back to his best in no time. It was however quite funny to see the treatment he received from the Clermont forwards, who clearly weren't happy with the amount of bleach that entered the driving maul. 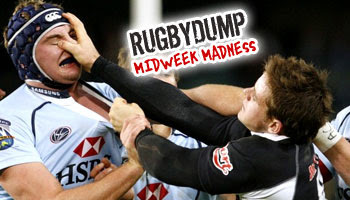 Disclaimer: Under no circumstances does Rugbydump condone the pulling of back line players' hair on the rugby field. While it's funny to see and not experience, if you do it on the field you will be penalised, and possibly punched in the ribs. So be responsible and play by the rules at all times. The Natal Sharks secured their place in this years Super 14 Semi Final on Saturday with a clinical 47-25 win over the Chiefs in Durban. The seven tries to three victory not only booked the Sharks' place in the play-offs, after they finished third in the standings, but they also knocked their compatriots, the Stormers, out of the semifinals. To advance the Sharks needed to win with four tries or win by 18 points. They scored six tries and won by 22 points, despite the score being 21-18 after 46 minutes. One of the tries of the match came from thoroughbred Sharks number eight Ryan Kankowski. Kankowski is fast becoming a legend of Kingspark down in Durban, and will surely be a Springbok starter against Wales in the upcoming test series. 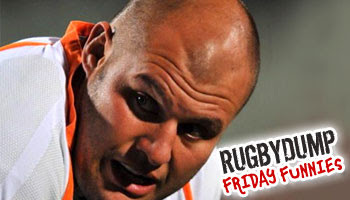 The Chiefs were on the attack when big substitute loose forward Jean Deysel marked a chip ahead. The big man tapped and ran, selling a dummy as he pounded up the field. He gave to Ruan Pienaar who dazzled the Chiefs defence before he gave to Kankowski who scored over 80 metres down field. The Sharks are hitting their straps right on time, and if they continue to perform like they did on Saturday, we may well see them in the Final for the second consecutive year. Note: Please excuse the useless commentary on the replay. It's not Jean Du Plessis as Garth Wright says - it is in fact Jean Deysel. London Wasps are through to the Guinness Premiership Final after a 21-10 victory over Bath in the first Semi Final on Sunday. The victory was unfortunately marred by the loss of Danny Cipriani who was stretchered off with a 'fracture dislocation' of the ankle, and will be out for 6 months. Wing Tom Voyce also left in an ambulance, with a dislocated shoulder that medical staff were unable to put back in. The victory has huge significance for Lawrence Dallaglio, who retires at the end of the season and will bring down the curtain on his illustrious career at Twickenham in the final. The 35-year-old left the pitch to a standing ovation in the 66th minute and will make his last appearance against Leicester in two weeks' time. It was Dallaglio's Adams Park farewell and an emotional occasion for the former England captain, who has spent his entire 18-year career at Wasps. The final is set to be a big day for all, with Wasps having some to do some reshuffling after injuries that for them, hopefully won't have too big a toll on their title aspirations. Young Wasps and England flyhalf was very unfortunately injured in this afternoons Guinness Premiership Semi Final between Wasps and Bath, in which Wasps came out winners by 21 points to Bath's 10. Cipriani looks destined to miss England's tour of New Zealand after sustaining what is said to be a dislocated ankle after being tackled by Ollie Barkley in the 49th minute. 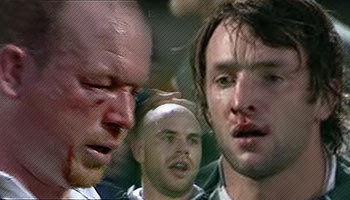 He found himself at the bottom of a ruck, shouting out in pain as England manager Martin Johnson watched from the stands. Medics arrived immediately and gave the 20-year-old fly-half oxygen treatment before he was carried off on a stretcher and taken to hospital by ambulance. Cipriani was set to start in the No 10 jersey against the All Blacks after starring in England's Six Nations finale against Ireland. He had ousted World Cup hero Jonny Wilkinson as England's first choice fly-half but if Wasps' worst fears are realised he now faces a lengthy spell of rehabilitation. We wish him a speedy recovery after this terrible injury that will surely put him out of what would have been an incredible tour for such a youngster. In one of the best hits of the weekend, big Brumbies lock Mark Chisholm went for a barnstorming 40m run down field, only to be stopped dead in his tracks by covering Force fullback Cameron Shepherd. Great stuff from Shepherd, who came out of nowhere to ruin Chisholms moment of glory, knocking him over while caught in mid stride. By the look on the big guys face afterwards, that one hurt too! Timberrrr!! On Friday night in Perth young James O'Connor sparked one of the most amazing comebacks you'll see as he got on the score sheet for his very first Super rugby try, remarkably at the age of just 17. The away team the Brumbies were leading the Force by 22-0 at one stage, and it looked as though one more try from them would surely see the floodgates open. But through teenager James O'Connor they scored the try that began the comeback of all comebacks, seeing them come out eventual winners 29-22. 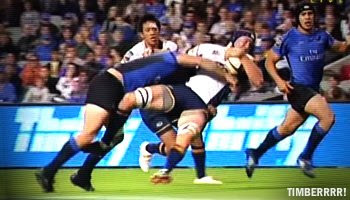 O'Connor's try itself was regulation quality finishing, but extraordinary simply for the fact that the boy is barely out of nappies and playing professional rugby, last week getting smashed by Ma'a Nonu and this week being up against Wallaby legend Stirling Mortlock. He's already being tipped as the next Matt Giteau, being compared to Tim Horan, and is in the unique situation of being eligible to represent each of rugby's three southern-hemisphere powerhouses in Australia, New Zealand and South Africa. His father Warren, born in Auckland, and grandfather both played high-level rugby in New Zealand. O'Connor's mother is South African and his great-grandfather went close to representing the Springboks. There's also talk of League teams snapping him up, with him having played it until three years ago when he gave it up for rugby union. While his preference is to represent the Wallabies, the teenager is keeping his international options open. 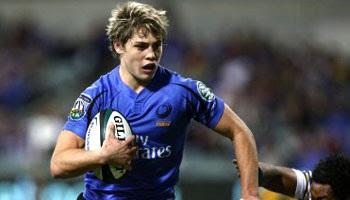 "I'm eligible to play for the big rugby nations," said O'Connor. "I'd like to play for the Wallabies, but I'm not ruling out anything, so we'll see what happens." Last weekend saw Leicester Tigers keep their Guinness Premiership title hopes alive with a dramatic 31-28 bonus point victory over Harlequins at Welford Road. Leicester secured their place in the play-offs with a bonus-point win after winger Tom Varndell scored with just two minutes remaining, which settled the game and also ended Harlequins' own play-off hopes. The flying winger made a try out of nothing, chipping the ball past Quins full-back Mike Brown before putting on the afterburners and winning the chase to the ball from 40 metres out. 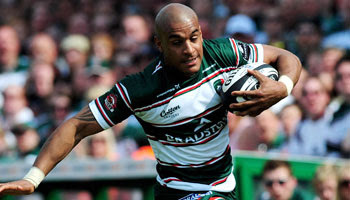 Sale's defeat at home to London Irish saw the Tigers clinch fourth spot and set up a semi-final clash with table-toppers Gloucester. Cheetahs and Springbok prop CJ Van Der Linde shows us all this fine example of why props are props, and scrum halfs are scrum halfs. Despite some of the bigger boys having great hidden talents, and on occasion having absolute blinders, such as John Afoa a few weeks back, clearing from the back of a ruck under pressure is clearly something CJ isn't too good at. 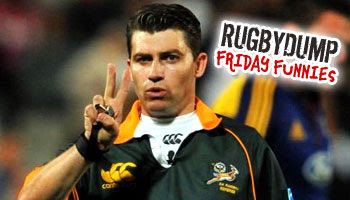 He's a talented guy who's a World Cup winner and at times has come up with some classics, including his incredible tries against the Stormers and then the Bulls a week later. But, he's no number nine, as seen in this short but funny clip from a couple of weeks back in the Super 14. The look on his face said it all. Queensland winger Digby Ioane has been suspended by the SANZAR judiciary for a spear tackle in the Super 14 this last weekend. Ioane was suspended for four matches after pleading guilty to the dangerous tackle on Canterbury Crusaders centre Casey Laulala in Brisbane on Saturday. Ioane was given a yellow card on the field despite the touch judge and referee clearly considering a red at the time, watched ever so closely by Reds captain James Horwill. Laulala, the victim who had his face driven into the turf, got up and resumed play after some medical attention. Queensland are already out of the running for a spot in the playoffs but face the Waratahs in the final round, which Ioane will of course miss due to the suspension. In possibly the try of the weekend in the Super 14, we saw Adam Thomson of the Highlanders getting over the tryline yet again, this time against the Blues. The men from Auckland beat the Highlanders 40-15, pulling away after this short period of brilliance threatened to challenge their lead. The 54th minute counter attack, sparked by new Leicester signing Craig Newby, had the Blues defenders struggling to get back to defend. Newby beat three players before popping it off to Leota, who himself stepped and beat two players before Bancroft kept the ball in field nicely and linked with halfback Jimmy Cowan. Cowan, who had a great game incidentally, had the composure to look up and see the space and numbers out wide, before sending the cross kick to the corner, where ever present Adam Thomson was on hand to dive over, twice. The razzle dazzle at the end was because Thomson thought he hadn't grounded it when first going over, which he unfortunately had, but it capped off an exciting passage of play that started back in the Highlanders twenty two. There was a great moment in the Super 14 match between the Blues and the Waratahs in Sydney recently. 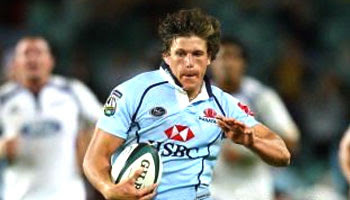 It involved young Waratahs scrum half Luke Burgess, who many are tipping to be the Wallaby replacement for the throne so that was so famously held for so many years by George Gregan. 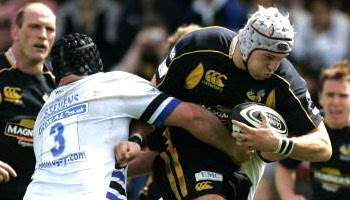 Burgess actually spent four frustrating seasons with the Brumbies as understudy to Gregan, before making the move to Sydney. Less than two months ago Burgess was playing club rugby, seeing as he was third in the pecking order at the Waratahs, behind Brett Sheehan and Josh Valentine. So when Burgess gets his chance, he has to take it, and take it he almost did when he made this exciting break against the Blues. The flying number nine had a full go at getting around Smokin Joe Rokocoko, and almost pulled it off, but for the experience of Rokocoko who wasn't fooled for long and had the gas to get back and catch the youngster. A classic moment, on both defence, attack, and in the commentary box. It's official, after many names were thrown around with plenty of speculation, Ian McGeechan has been announced as the man who will take the head coach role for the prestigious British & Irish Lions tour of South Africa next year. 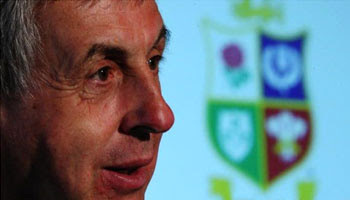 McGeechan is more than qualified for the position, having been in charge three times previously, namely in 1989, '93 and '97, as well as being involved with the unbeaten midweek team in 2005. He was also a Lion twice as a player, in 1974 and '77, so is no stranger to the concept of bringing together the elite from England, Wales, Ireland and Scotland. The general feeling is that this role is made for McGeechan, and with the coach now confirmed, preparations, albeit planning at this stage, will begin and we should be set for a humdinger of a series in the World Champions' backyard in exactly a year from now. Community forum rather than commenting? Discuss the appointment of McGeechan further here. A few weeks back in the fiercely contested match between Georgia and Spain at the Tbilisi National Stadium in Georgia, there was a hilarious incident from the big Lelos lock, the likes of which has never been witnessed on the international stage I'm sure. 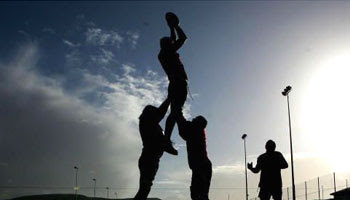 Last seen on the school playground, or perhaps even in your own backyard, the old hide the ball in the shirt and run with it trick is one that if done correctly, will cause confusion in the ranks of the opposition and earn you those much needed extra yards in your quest to head to the tryline. This is a slight variation on sticking the ball up your own jersey, but just as effective if done properly, as you'll see in this rare footage from the game that was played in front of an impressive attendance of over 20 000 people. Georgia's Mamuka Gorgodze made the tackle, grabbing hold of the Spanish fullbacks jersey, before ripping it off him, ball and all, and setting off downfield. He got away with it for a fair while too, before making the pass to his teamate that was just too obvious and got spotted by the ref. Georgia won the European Nations Cup with this 22-20 victory over Spain, and Gorgodze actually scored three tries in this match - although I'm told they were of the more tradtional variety. Back in May of 2002, almost six years ago to the day, 62,000 fans at Twickenham played witness to one of the best individual tries ever seen on the ground, scored by a young Gloucester flyer by the name of James Simpson-Daniel. Simpson-Daniel, only 19 at the time, contributed to England's highly impressive 53-29 victory over a Barbarians team that included the likes of Christian Cullen, Thomas Castaignede, and the legendary Jonah Lomu. The superbly inventive solo try scored in the 35th minute by Simpson-Daniel had the world's most famous rugby player looking somewhat stunned after a man half his size and with no international experience had the audacity to take him on on the outside. Percy Montgomery too was totally bemused with a delightful and deliberate juggle of the ball by Simpson-Daniel, before watching him step and skin Lomu down the wing and squeeze over in the corner, despite Cullen's covering challenge. The Twickenham crowd, Clive Woodward, and every neutral rugby fan around the world stood as one to applaud a fantastic moment from a young man who showed so much promise at such a tender age. This is an excellent 40-metre solo try that needed to be added to our archives, and one that will always be remembered for that cheeky dummy and the electric out-sprinting of Lomu. We've all done it before - seen a players boot on the floor, or pulled one off in the tackle, and been tempted to toss it away like you would with that old FHM you've had since you were twelve. 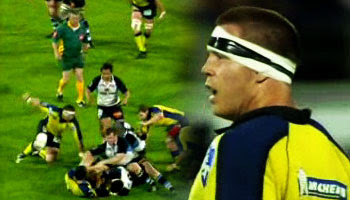 John Smit found out this weekend in France that some refs evidently don't view tossing a players boot lightly though. Maybe it's dangerous play. Maybe it's theft. Who knows, but it was rather comical to say the least, and got Clermont's opposition, Catres, a penalty from Smit's blatant disregard for the laws of the game. Good to see Smitty's still making headlines in Europe after his World Cup achievements. But I think next time the boot will be aimed towards the whistle blower instead.